If you are not familiar with CrossFit, you may think that our prices are higher than typical gym memberships. What do you get from a typical gym membership? You pay a flat fee to use the equipment. 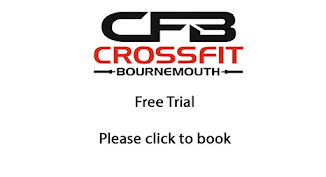 At CrossFit Bournemouth, we program your workouts, instruct movements, scale the workout if necessary, offer nutritional suggestions if requested, and are committed to each client every time you walk in the door. Our group sessions are the equivalent of semi-personal training. Remember, we are committed to helping you achieve your fitness goals…if you commit, you will achieve fitness beyond expectation. What are your expectations? Sign up today! There are no refunds on memberships purchased.